Women's Writing Circle : So Much (Little) For Digital Bestsellers! So Much (Little) For Digital Bestsellers! Articles on the new digital publishing and stories of authors selling a bazillion copies of their ebooks seem to pop up everywhere on the Internet. "Five Proven Tips: Selling ebooks is easier than ever!" There's even a book, How I Sold 1 Million eBooks in 5 Months! If only it were that easy . . .
A writer from the Women's Writing Circle mailed me a copy of an op-ed in the NY Times. Entitled I Was a Digital Best Seller! the article related in painful detail one journalist's experience with an online publication and small digital publisher for her nonfiction book. She wrote: "One reason “Boom" sank, I suspect, is that there aren’t many people willing to pay even $2.99 to read at length about a trek through the oil patch, no matter how much I sexed it up with cowboys and strippers." So how does an author recoup her time and investment in the ever elusive ebook market? Does selling 700 or 800 books (a lofty amount for many authors) translate into any money for all the hard work? I wish I could say it did. 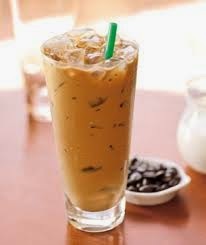 My monthly royalty checks from Amazon now afford me the luxury of one iced latte at Starbucks. When I entered the new digital world of publishing in 2010 with my first book, Again in a Heartbeat, I felt fairly confident. I possessed an arsenal of tools that most beginning authors don’t have. I had spent close to three decades as a journalist, including the last 17 years with a Pulitzer Prize winning city newspaper. I knew how to craft a press release, write a pithy and to-the-point author bio, and a compelling synopsis of my book. I understood the importance of contacts in the community – although, increasingly, the question became how to reach them? Where are people getting their information? Not though the local newspaper, or even the big city newspaper, or radio, or any of the other channels that until a few short years ago were key. Now everything was on the Internet. The growing din of online voices trumpeted the “good news” for authors - a golden age of digital publishing was upon us! When it came to selling ebooks to readers as far and wide as India, Japan, the UK, Australia, and China, the sky was the limit. I soon learned that my ebook’s Amazon ranking was as mercurial and shape shifting as technology itself. 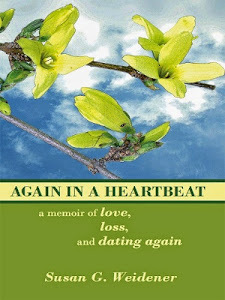 Again in a Heartbeat fluctuated wildly - from 79 on the Amazon bestseller list for memoir . . . this after only two or three ebook sales . . . dropping like a stone to 309,000 a day or two later when no one bought the book. It made me wonder if even the top 10 books garner more than a dozen sales a week. 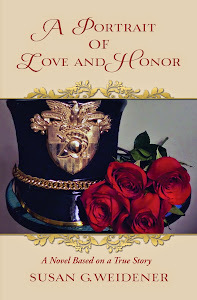 I ran giveaways through the KDP Select program; soon my book ranked No. 1 on the Amazon “free” bestseller list for its category, memoir. Amazingly, 12,000 people in the US and UK downloaded the book for free. I had a digital bestseller! I shared the news with my son. "Hey, Mom, what a great accomplishment. Maybe it will go viral," he said. But, apparently, few, if any, read it. Almost four years later, I only have 28 reviews on Amazon and 18 on Goodreads. But at that time, I believed the exposure invaluable. Soon after the free giveaway, the book’s ranking nose-dived. Eight or nine ebook sales dropped to five . . . to one, then to none. I tried different price points; $3.99 seemed safe – the “soft spot.” Then I lowered it to $2.99, wrote more blog posts, more promotional pieces . . . appeared as guest blogger on authors' websites. 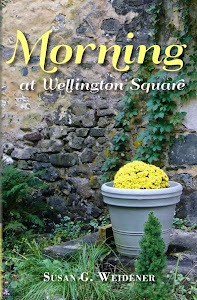 When I wrote and published in 2012 the sequel, Morning at Wellington Square – about leaving journalism, and remaking my life in middle age after the death of my husband and parents, I thought selling both ebooks in tandem might be the key to improving sales. They could be read together or standalone. Or at least that was the prevailing wisdom on the Internet. Write more books! I soon found out – once again, that the new book’s ranking fluctuated wildly . . . in the top 100 in the memoir category one week to an abysmal 420,000 two weeks later. The free giveaway, however, resulted, once again in my book becoming a digital bestseller. Like the prequel, it ranked first in free memoirs. Although this time, only about 800 readers took it for free. But by then I read about Amazon's changing "algorithms" . . . due to an apparent hue and cry from traditional publishers that indies were receiving too much exposure in the ebook market. Yet, I was learning one very important thing. Despite my marketing and blogging expertise (I receive over 4,000 views a month on this blog), regular posting on Facebook, Twitter, and LinkedIn, it had become a Sisyphean task in getting the public to BUY my books. Books, which, I might add, had received excellent reviews from many who study memoir, read them, and write about them. My sales were largely the trade paperbacks. 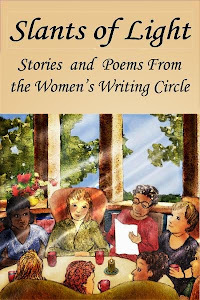 I sold them at conferences, book signings, book clubs, to editing clients, and to the women who came to my writing group and workshops. So much for the digital age. It was back to good old-fashioned, person-to-person contact. I ponder new ways to market and promote my books. As John Lennon said, I just "keep on keeping on." Selling books, one at a time – still, hopeful, checking my Amazon rankings, although less and less. Frankly, it's just too discouraging. But I’m a writer. I have to write. My new book – a novel based on a true story – is nearing completion. Then it starts all over again. This time, I’m ready. Like the author of the NY Times article, my ebooks might end up in the slush piles of anonymity, but there is one saving grace. Unlike the ephemeral ebook, I can lovingly hold a paperback copy of my book in hand. How about you? What are your experiences with ebook sales?